That is the cutest darn pig. Who knew they could swim. Awesome! Have a great time there! Can’t wait to go back! Thank you for stopping by, Selene! It was so wonderful, Cin – if you guys ever plan a trip out that way, let me know. It’s a powerful island! I have been on a flight or two where I definitely felt like cargo. I hope I don’t feel like cargo on MY next trip – I have felt that way before too! I never heard of swimming with pigs. But what a cutie! And what a fabulous experience! 🙂 Love it. 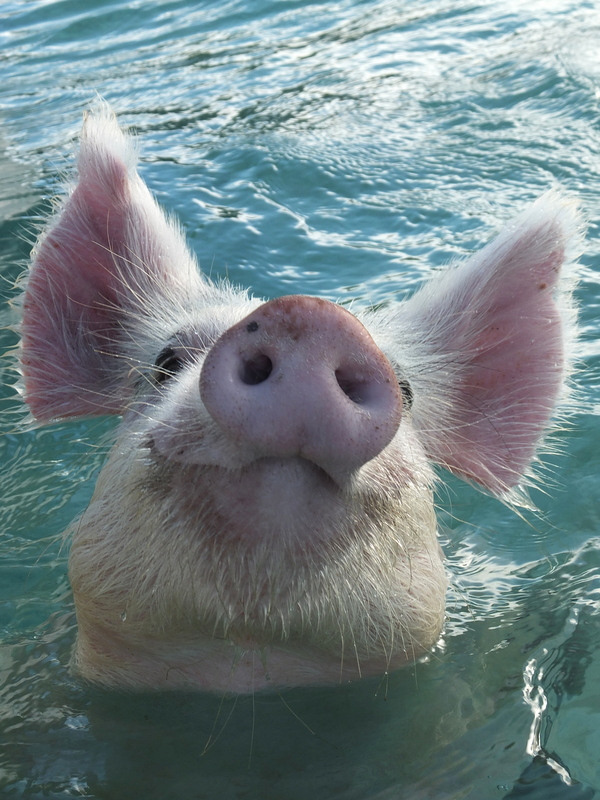 I so want to swim with the pigs in the Bahamas!